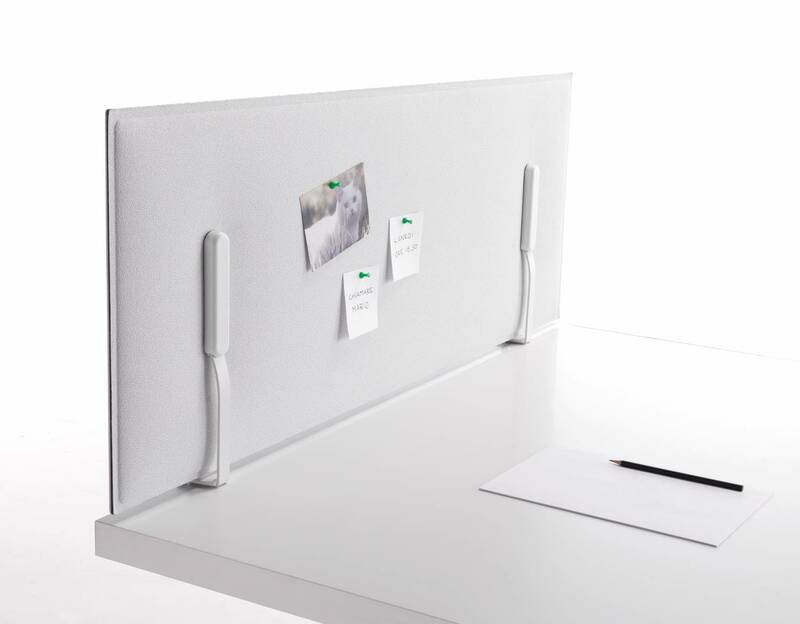 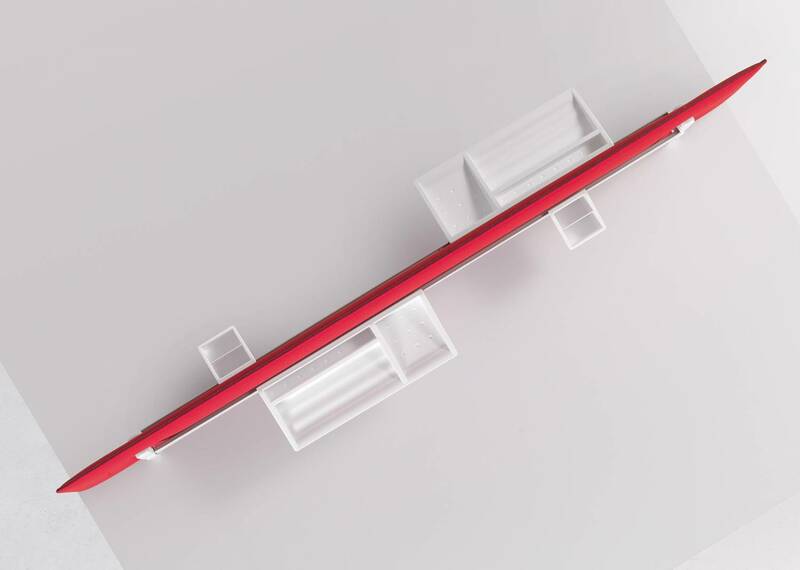 Mitesco Worktop desk dividers feature a frameless design to avoid the use of sound reflecting materials. 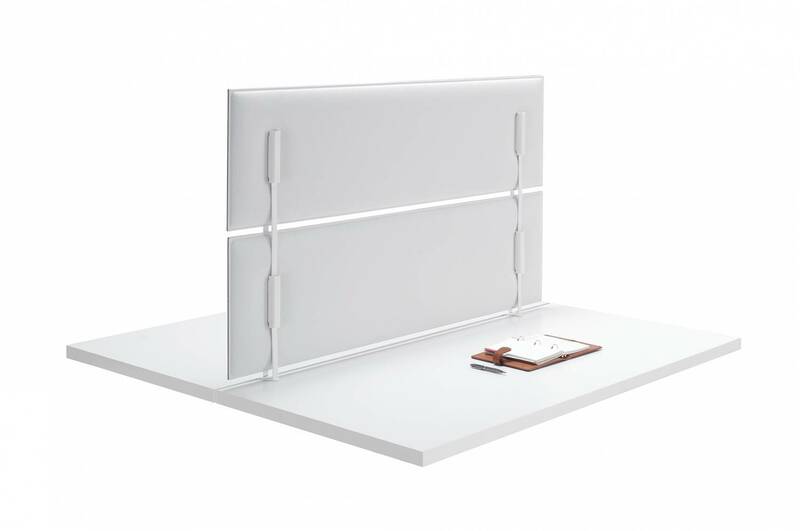 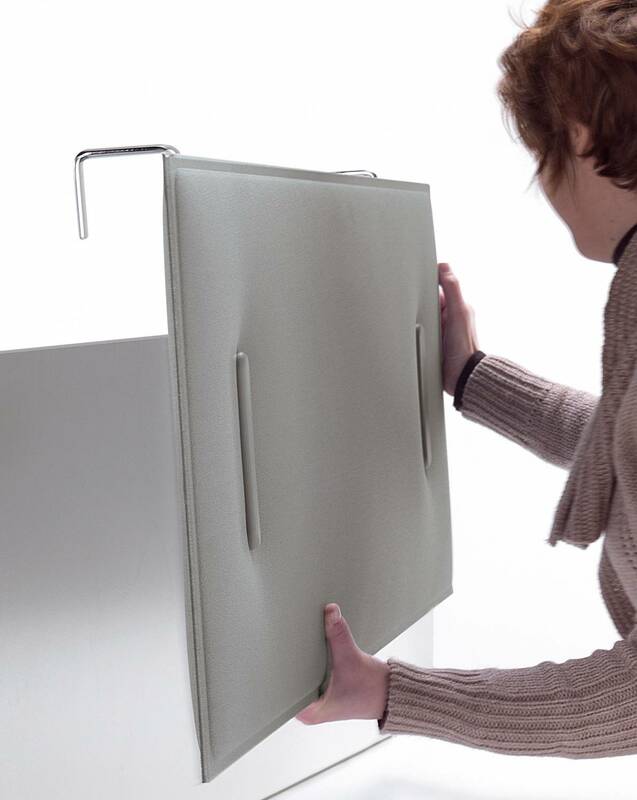 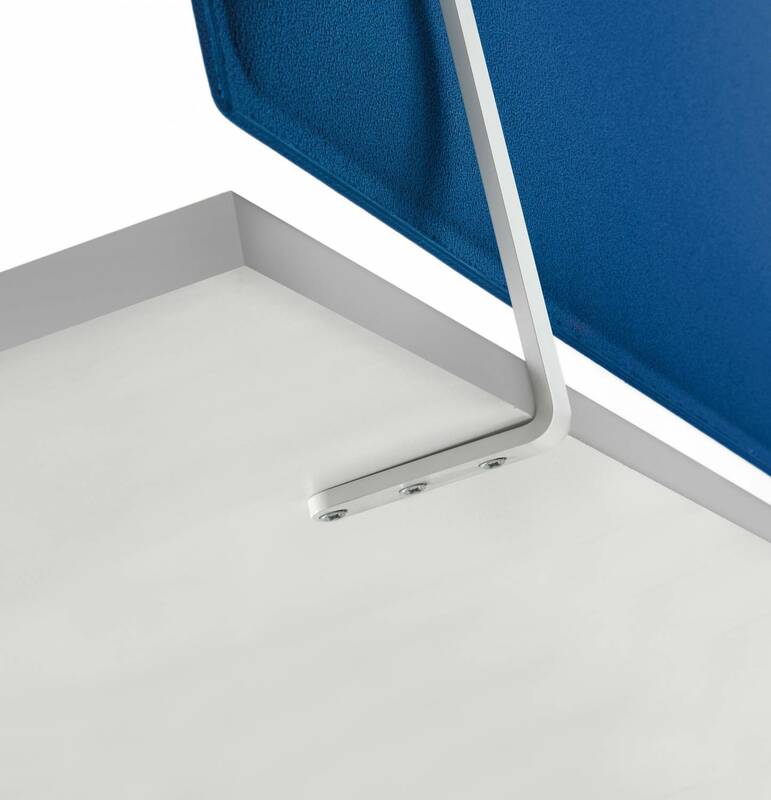 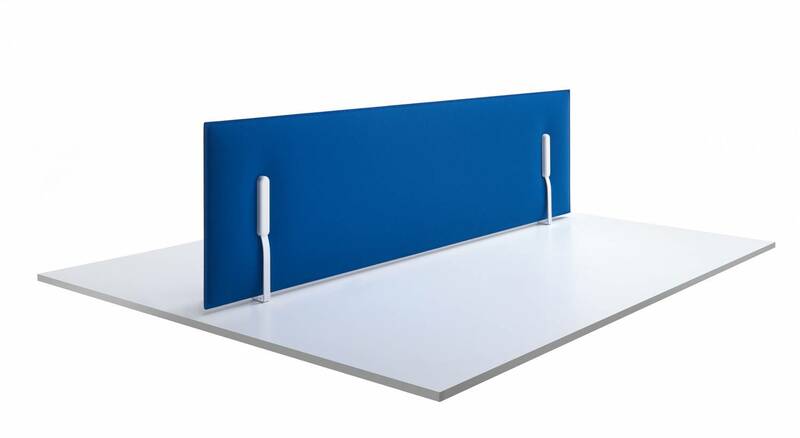 With class A sound absorption, these dividers reduce the transmission of speech sounds from one area to another. 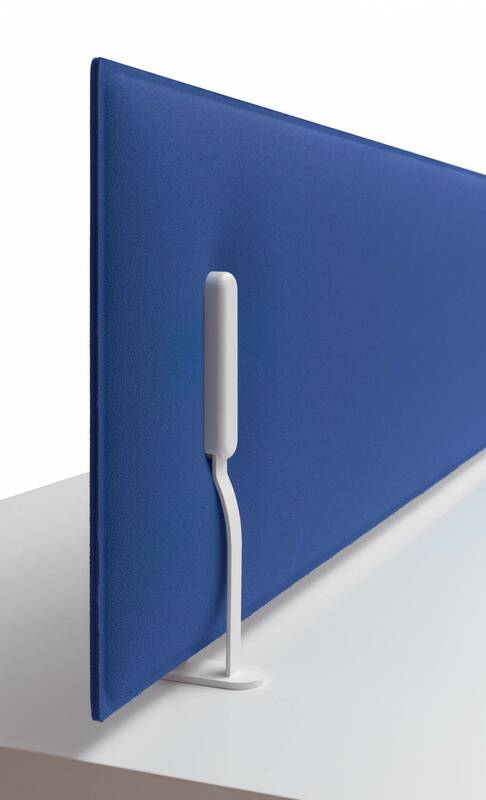 They also control reverberation and distraction distance whilst providing speech privacy. 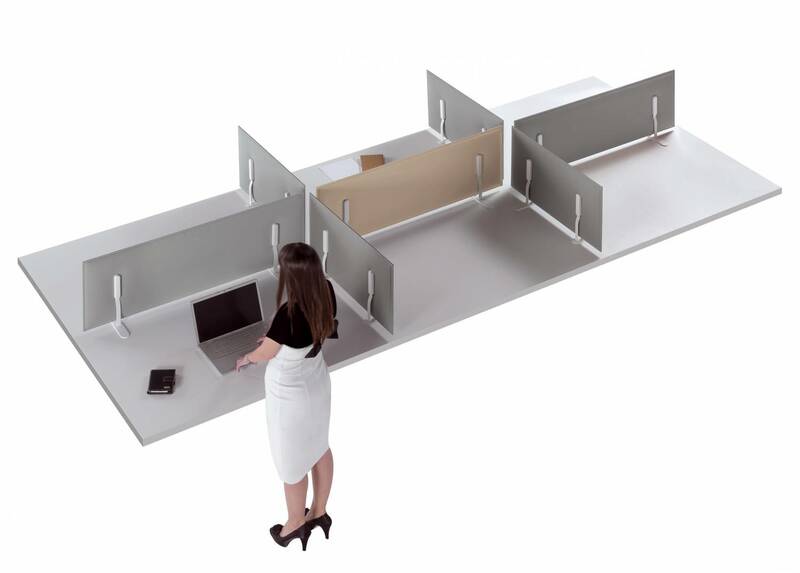 Choose to combine two screens on top of each other to provide visual privacy and prevent distraction. 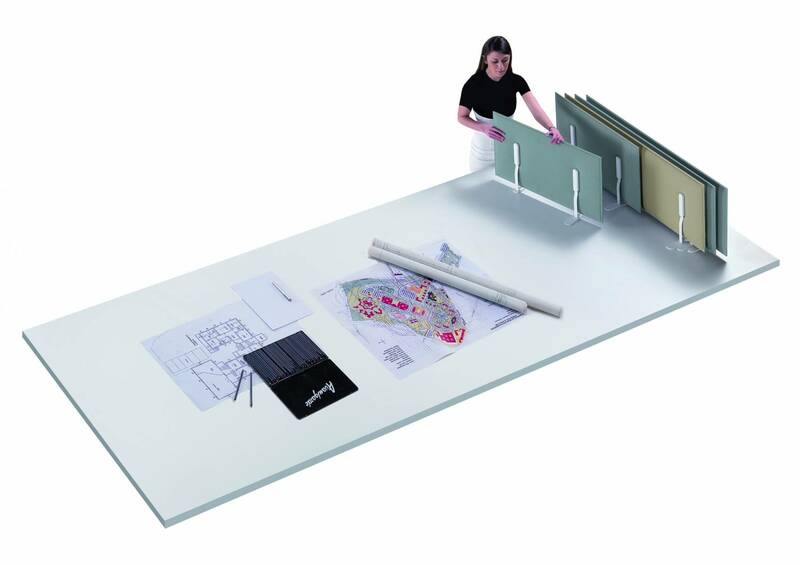 Mitesco Worktop dividers also provide functional and organisational elements with a pinnable surface and optional tool rails available. 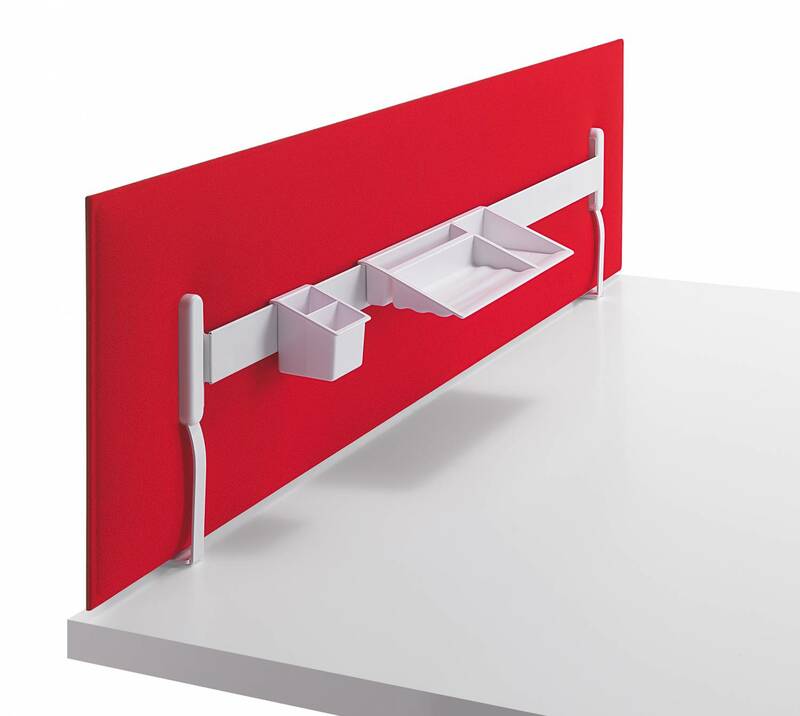 Powder coated steel brackets allow you to simply position the divide to the desk via clamps, screws freestanding bases or hanging fixtures. 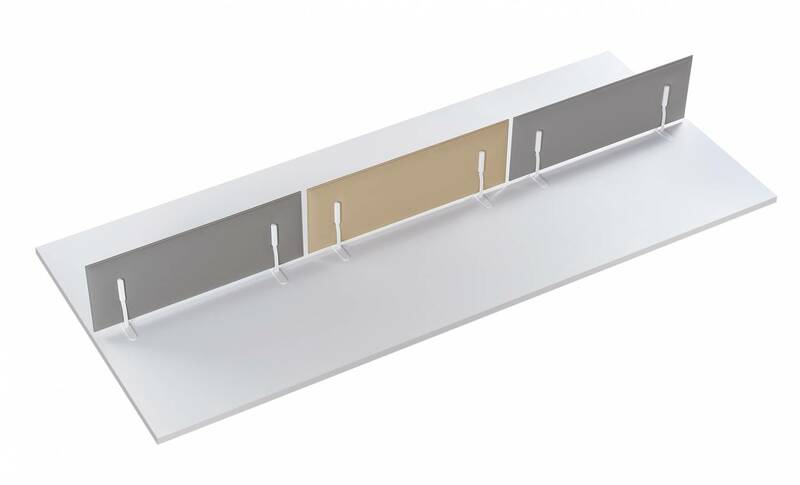 This means that set up is simple and reconfiguration is quick and easy when required. 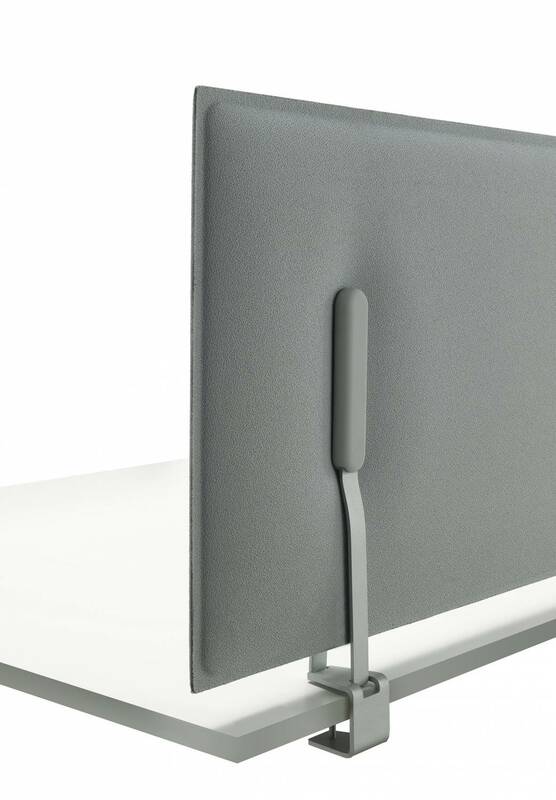 Please note that screens require feet at an additional cost.